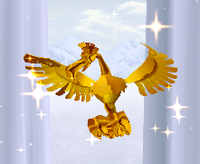 Gold Mini Slump Birds are gold Roc-like creatures in Donkey Kong Jungle Beat. They are larger, gold versions of Mini Slump Birds that appear only in Iguanagon's Realm. 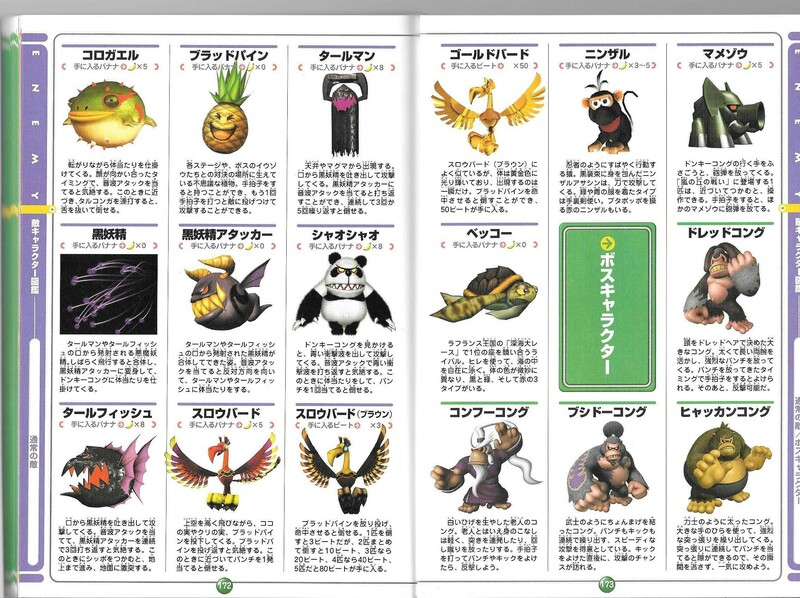 Unlike normal Mini Slump Birds, however, Gold Mini Slump Birds do not attack, but instead fly across the top of the screen over Donkey Kong and Hoofer. If the player manages to hit one with a Blood Pine, they are rewarded with fifty beats.